2014 Little Black Dress is Here! Project Little Black Dress 2014 is here! Previously, we did this in February. But then I had a baby. Considering my newborn has been flourishing, dispensing lots of spit-up and sleepless-nights, for my sake this year you all agreed to push it back a month to March. So, together we will don our black dresses or shirts or skirts or fishnet leggings for a month in order to raise awareness and funds for those whom are begging for an intervention. Day 40 (03.11.12.) DONE!! !What will this year bring? Our goal is to raise 10K for our select organizations this year! 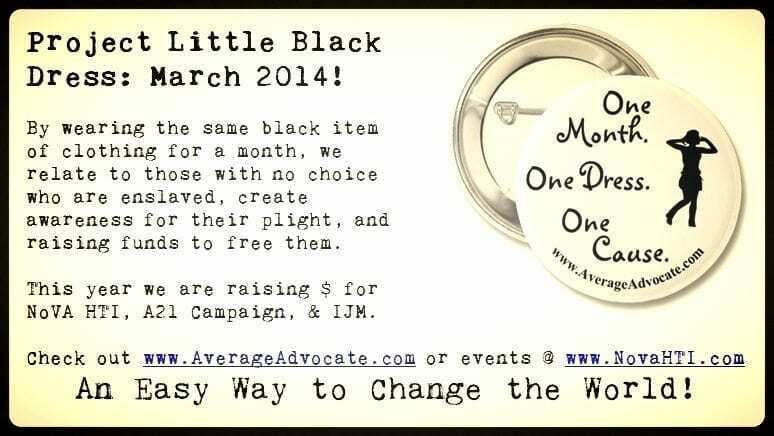 For those of you who don’t know, in February/March 2012, a few of us wore a black dress or shirt for a month or longer. We were inspired to walk with the poor of the world, who often usually have to wear the same thing daily. We raised money for famine and food crisis victims- in fact, we raised enough to feed seventy kids for a whole month! By challenging ourselves and others around us, we rose up to be advocates for people we had never even met. But our efforts, and many of your gifts, changed people’s lives. Then last year, in 2013, a larger group took part in the same project. 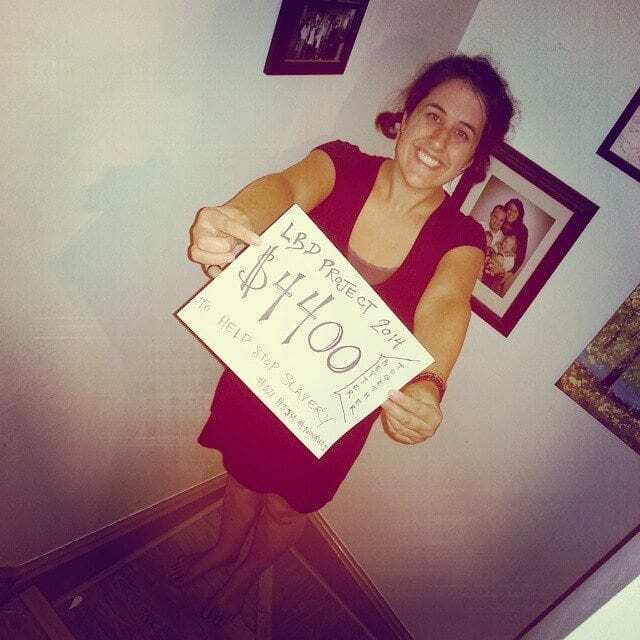 This time we raised money to help those in our world who have been forced, used, mistreated, and abandoned. These are the modern slaves of our world, also known as victims of human trafficking. As we wore the same shirt/dress, we experienced what it is like to have limited choice. Our freedom was only slightly limited, whereas the freedom of the trafficking victims we were representing had been unjustly stolen from them. Together last year we raised over $6000 for three anti-trafficking organizations helping stop this injustice- IJM, Sak Sam, and Love146! This year our goal is to raise even more money for organizations that help prevent, rescue and restore trafficking victims. I’m wondering if we can raise $10,000. Each year I have been so surprised what a handful of us together can accomplish for what I see as the Kingdom of God as described in Isaiah 58. 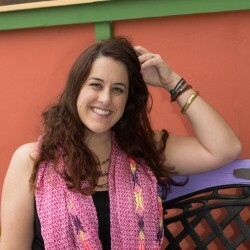 This first is a quality organization I’ve known about for years, but my blogger friend, Steph at Encouraged In Heart, is a big supporter of. 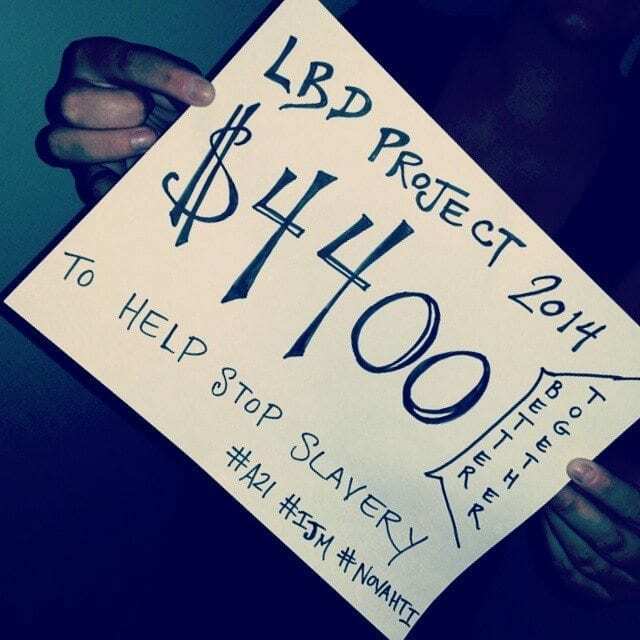 The A21 Campaign works in some of the top trafficking hubs around the world- Eastern Europe and Southeast Asia. It has also expanded within the United States too. They work in prevention, protection (recovery/restoration), prosecution, and through creating partnerships to complete these things. The next organization I am just completely biased about, considering I am currently it’s director. The Northern Virginia Human Trafficking Initiative is a community organization sponsored by churches in the Virginia suburbs of DC to fight human trafficking in this area. We consider ourselves a funnel between those on the frontlines (non-profits, law enforcement, shelters, etc…) and the faith community, serving to bring them together to effectively do something locally. The funds raised will go to help our organization continue to be influential as well as provide funding to victims in our area. Alternatively, you can donate online at www.embraceloudoun.org at the paypal link in the right top column. Please note that your donation is for LBD NoVA HTI. Please print a receipt for your tax records. Lastly we again have the option to donate money to the International Justice Mission, known as IJM. These guys were some of the front-runners bringing the issue of modern slavery to light. They work to end all types of human trafficking, as well as stopping other injustices (like taking back land stolen from widows or freeing prisoners that had no trial). I know some of you are part of IJM Campus Chapters. We want you! If you feel like this is something you should do, please let me know. Don’t be afraid! Although it is challenging, it is oh so rewarding! Also, forward this post to anyone whom you might think is interested! I am excited to already have people joining me! Our impact is much greater when we work together. Let’s bring freedom! Be committed to wearing the same item of black clothing part of every day for a month. Ideally, share a picture of you in that same item daily. Let those around you know why you are wearing the same thing all the time. Lead the way by making a donation to these organizations. Ask those you know to donate $5+ to the fundraising page (or yourself, which you in turn will donate for them). 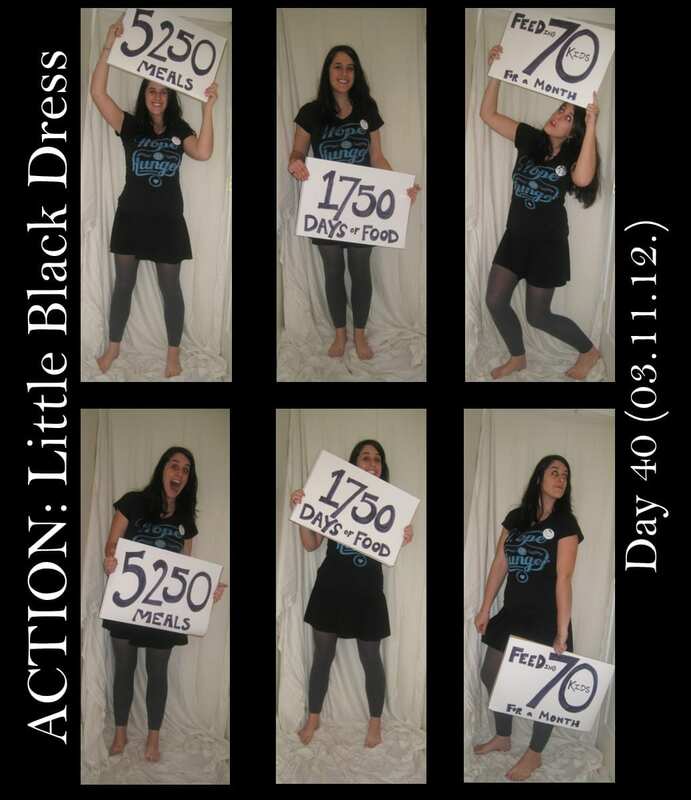 For more information on how to take part in Project Little Black Dress, this post explains how. Pay special attention to “The Escapist Rules” section, which goes into more detail about what you can get away with. Then this post gives steps 1-5 to support you. Just be sure to change the wording to fit this year’s goals. Then, this one, 15 Questions About Little Black Dress 2014 is specifically for you taking part this year!